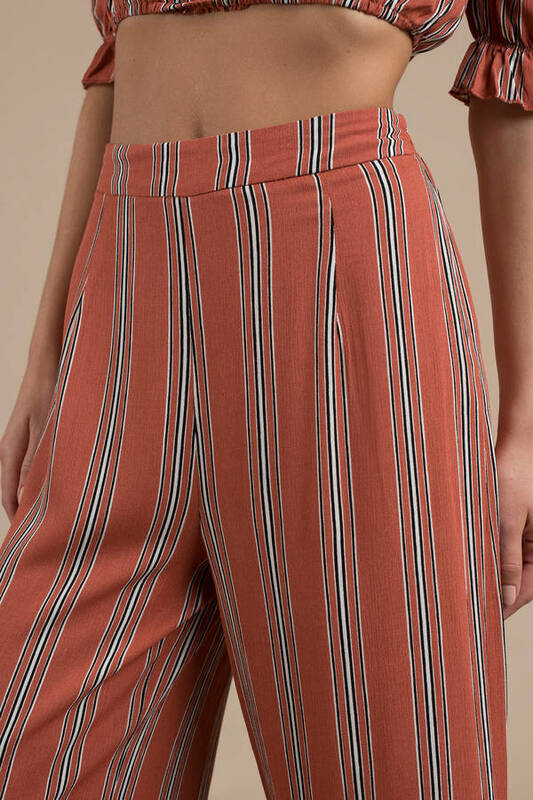 Check out Tobi's Far Out Striped Wide Leg Pants The Far Out Orange Multi Striped Wide Leg Pants features a cute stripe pattern with an off the shoulder neckline, ruffled hems, front tie, and elastic waist cuff on a lightweight rayon weave. Pair with the Far Out Striped Crop Top to complete the look! 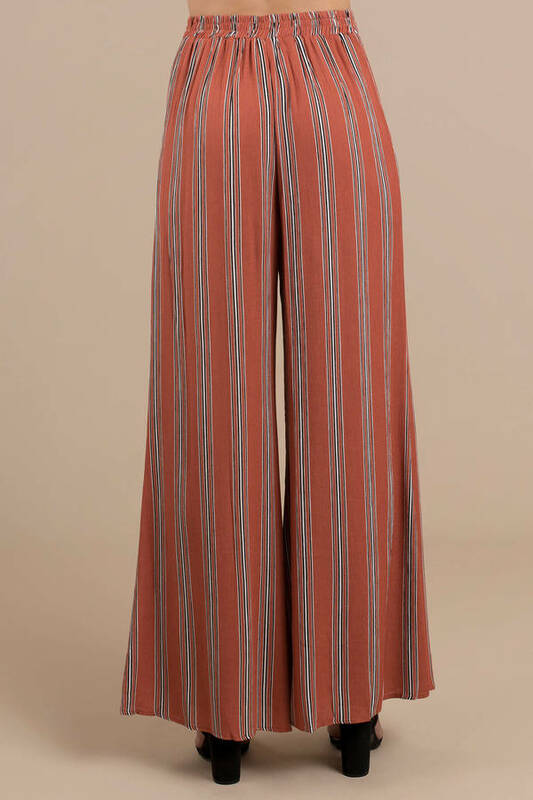 The Far Out Orange Multi Striped Wide Leg Pants features a cute stripe pattern with an off the shoulder neckline, ruffled hems, front tie, and elastic waist cuff on a lightweight rayon weave. Pair with the Far Out Striped Crop Top to complete the look! Orange Multi modeled on a size Small.